If you’re lucky and walking around the East Village area today (4/28/12), you may run into the Munchie Mobile. Jon, of the Munchie Mob came us yesterday (4/27/12), in need of a large 2 feet by 3 feet coroplast menu for their customers. We promised to do whatever we could to have their menu ready before the big opening day. A few hours later, their menu was ready for pick-up at the SEND 2 PRINT store in Williamsburg. Check out the MUNCHIE MOB’s Twitter, to see where they will be parked. 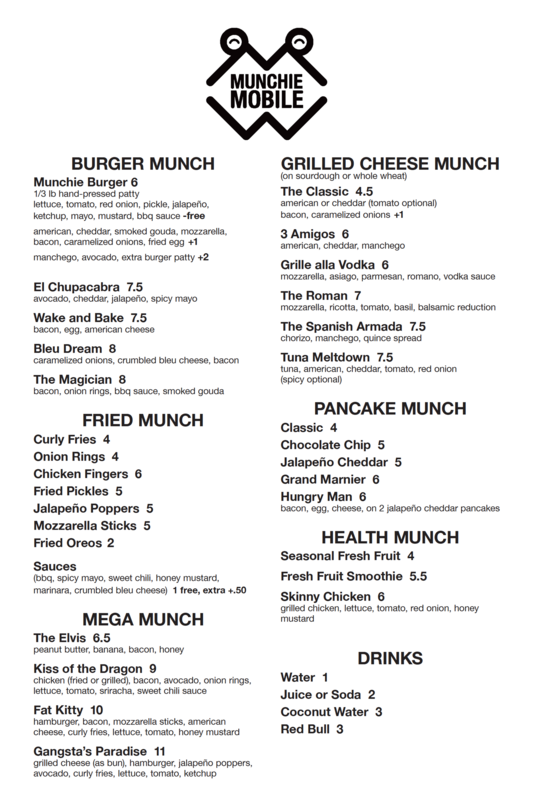 And check out their menu below if you need an incentive. Tell them that Leo & Carlos from SEND 2 PRINT sent you. Categories: Satisfied Customers | Tags: Burgers, Coroplast, Menu | Permalink.